Dahlias are impressive plants. The sheer volume of their flower production is remarkable. 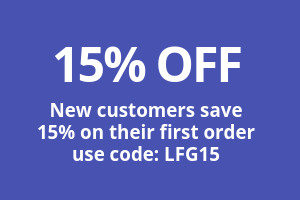 They also offer an incredible range of flower sizes, styles and colors — more than enough to hold your attention for a lifetime! Though every dahlia variety has its own special charm, the most extraordinary of all are dinnerplate dahlias. 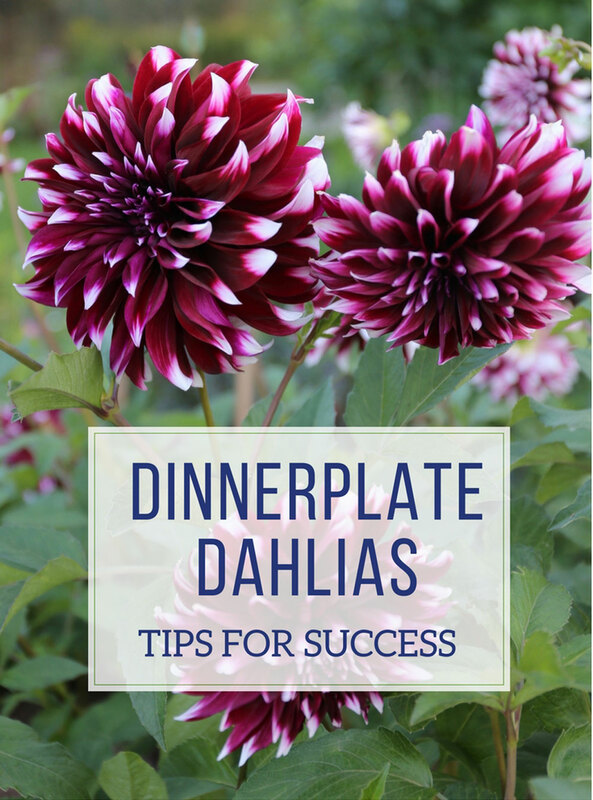 Dinnerplates are not part of an official dahlia classification (like cactus or pompon). It’s a term applied to any dahlia variety with flowers that measure at least 8” across. The flower form may be classic, such as Café au Lait and Thomas Edison, or more informal, like Taihejo. Dinnerplates also include varieties with quilled petals like Avignon and shaggy petals like Penhill Dark Monarch. 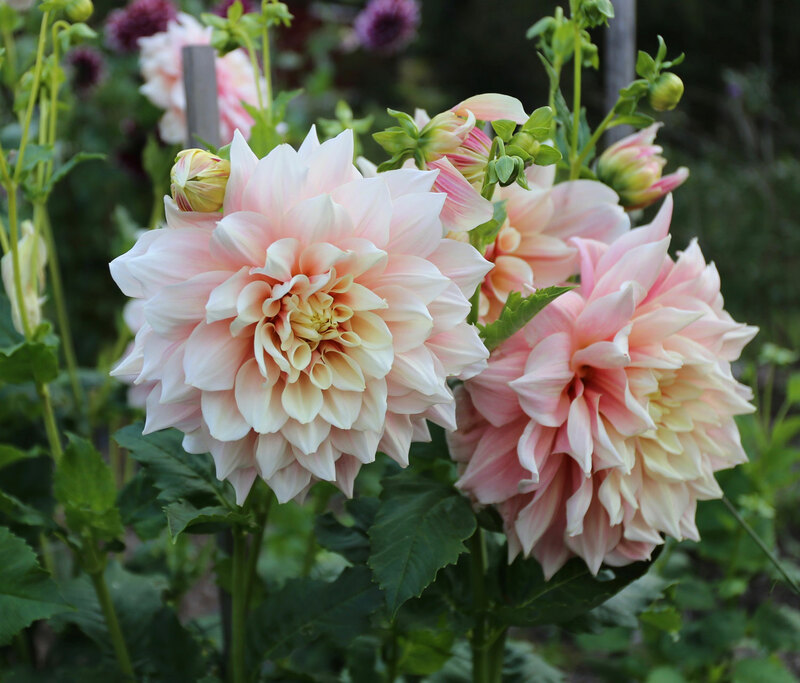 Growing dinnerplate dahlias isn’t much different from growing any other type of dahlia. But to make sure these divas reach their full potential, it’s worth giving them a little extra attention in a couple key areas. If you garden in the northern half of the country, consider starting your dinnerplate dahlias indoors, six to eight weeks before transplanting them out into the garden. The sooner you can get them to maturity, the sooner they’ll start producing flowers. With a head start, you can be picking flowers in mid-July rather than early August. Dinnerplate dahlias deserve a prime location in your garden. A spot with all day sun and the best soil possible. 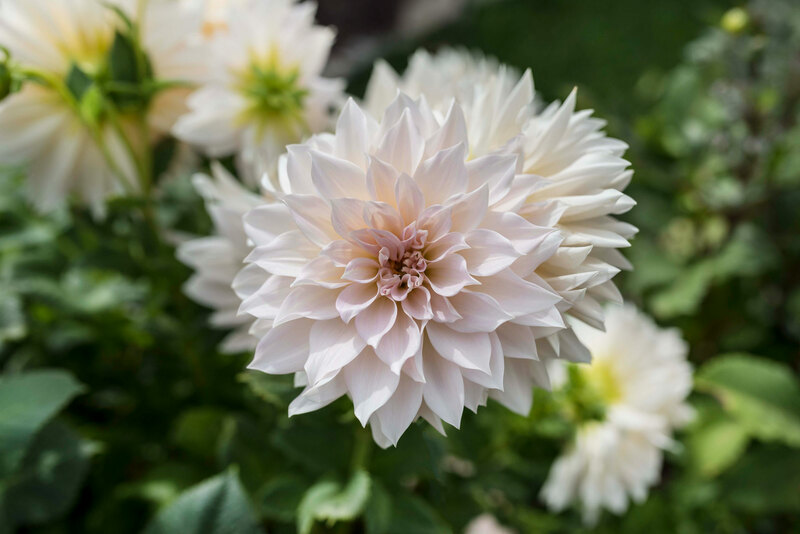 Well-drained soil is essential, because heavy, wet soil will stunt root growth and make your dahlias more susceptible to disease and insect problems. Raised beds are ideal. In fact, if you simply give dinnerplates the same TLC you’d give beefsteak tomatoes, you’re bound to be wildly successful. It takes a large plant to producing such impressive flowers. You can expect most dinnerplates to grow 3 to 4 feet tall and 18 to 24 inches across. Their shrub-like stature means they need plenty of space to fill out. All dahlias respond well to being fertilized. This is especially true with dinnerplate dahlias. Get them off to a good start at planting time, by enriching the soil with compost and adding an all-purpose fertilizer (follow package directions). When the plants are a foot tall, begin feeding them twice a month with a liquid all-purpose fertilizer, following the recommended dilution rates. Dahlias should get about an inch of water per week. Infrequent, deep watering is best, and do your best to target the root zone. Keeping the foliage as dry as possible will help deter slugs, snails and earwigs, as well as foliar diseases. Dahlias have brittle stems that can be damaged by heavy wind and rain. With dinnerplates, the weight of the big flower heads (especially when waterlogged) can be enough to pull over an entire plant. Unless you’re in a very sheltered location, the plants should be staked early and tied in as they grow. You can read about a number of staking options HERE. As with other dahlias, the more flowers you pick, the more you get. 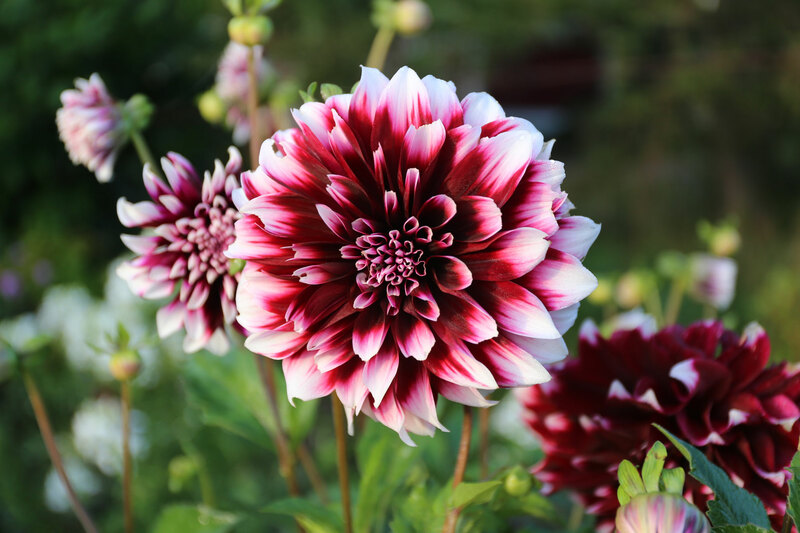 Plan to check on your dahlias at least a couple times a week, and bring the following things with you: sharp scissors, a clean bucket with some water in the bottom, and a larger bucket or tub for collecting spent blooms. It’s best to pick flowers early or late in the day, when plants are not stressed by sun and heat. 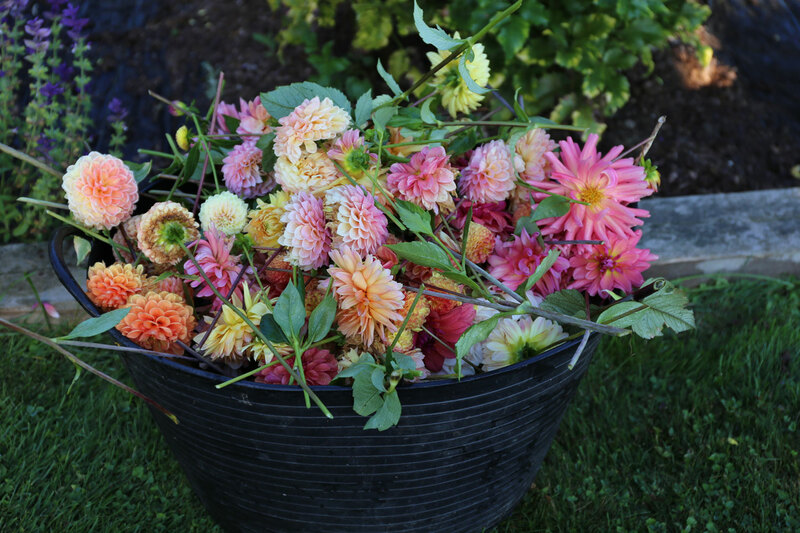 If you are collecting dahlias for an arrangement, cut them as soon as they open and before the back petals begin to soften. Try to cut nice, long stems, even when it means removing nearby buds. 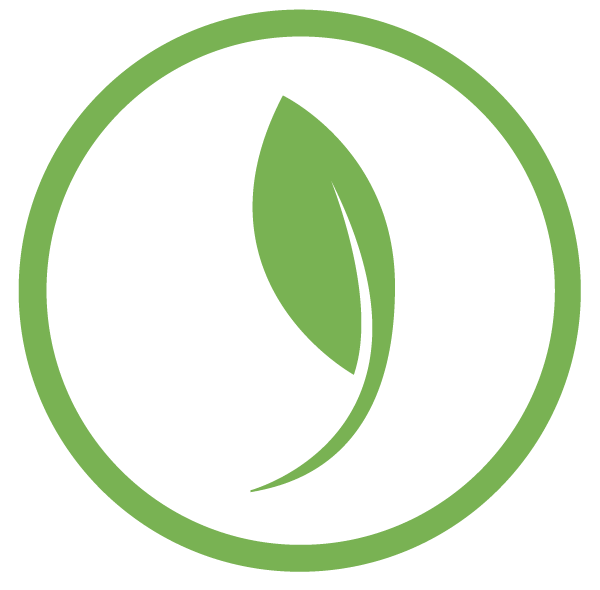 Over time, this will encourage the plant to produce longer stems. Deadhead often and cut the whole stem, not just the flower. Remove spent flowers in the same way, cutting a full stem rather than just nipping off the flower. Make sure to remove every blossom that has passed its prime. This will encourage your plants to keep producing right through September. 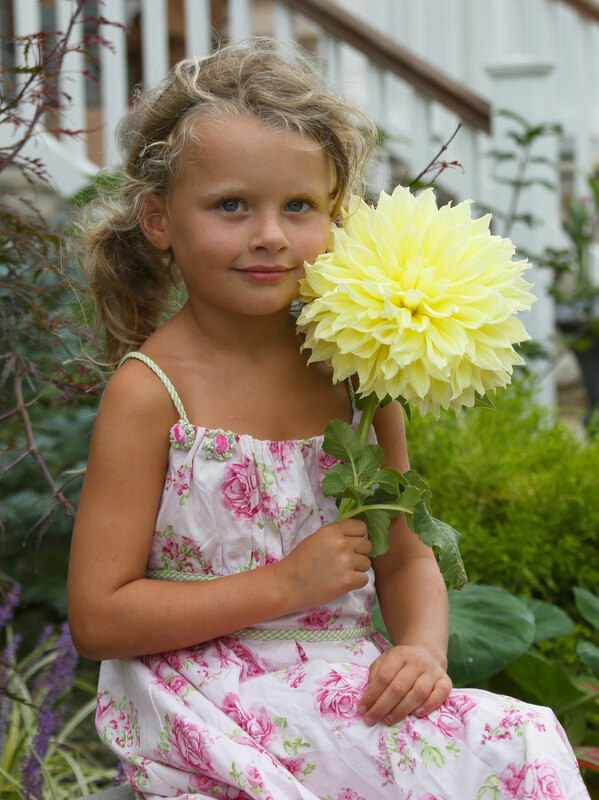 To see our full selection of dinnerplate dahlias, click HERE. 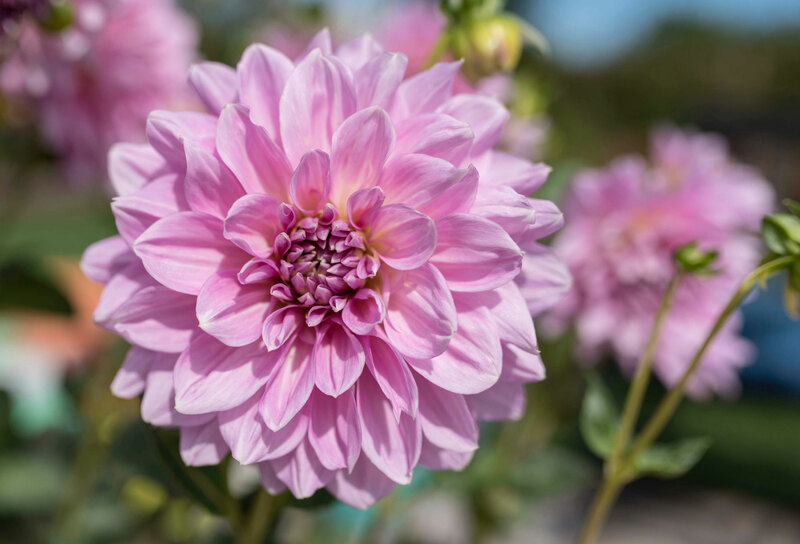 Learn more about growing dahlias here: All About Dahlias, 8 Tips for Growing Better Dahlias and How to Pinch and Stake Dahlias.